Chalfont St Peter is a picturesque upmarket village and civil parish in the beautiful Chiltern district of southeast Buckinghamshire. It forms part of a group of villages called The Chalfonts. The villages are located between High Wycombe and Ruislip. One of the largest villages in England, Chalfont St Peter has 13,000 residents, a great increase over the Doomsday Book entry of the 11th century, when just 20 households were recorded. At one time, neighbouring Gerrards Cross was a hamlet of Chalfont St Peter parish, but it now has village status in its own right. Since Gerrards Cross railway station opened in the latter 19th century, the number of Chalfont St Peter residents has risen at a significant rate. From 1801 to 1901, the population of the village only rose by 700, which increased the total inhabitants to 1700. However, from 1900 to now, Chalfont is one of most populated villages in the UK, with a population of around 13,000. 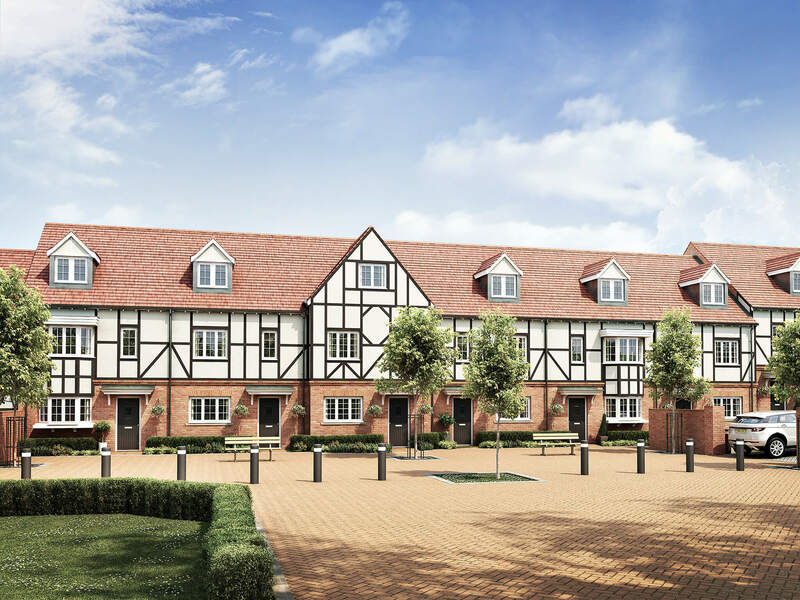 Chalfont St Peter has what can be considered a perfect location, as it is within an easy 15 mile travelling distance of central London, Heathrow Airport, and the busy motorway network which incorporates the M25, M40, M1 and M4, linking Chalfont St Peters to the rest of the UK. As well as being a very well connected village, the area of Chalfont St Peter is also extremely scenic. Commonly known as the Gateway to the Chiltern Hills, it offers some interesting places for tourists to stay, Including the Greyhound Inn, an important landmark in Chalfont St Peter since the 14th Century, when it was the local courthouse where hangings were held. Other interesting nearby attractions include the Colne Valley regional park, Bekonscot Model Village, the Chiltern Open Air Museum, the Harrow Museum & Heritage Centre, and the Royal Windsor Racecourse. As one of the largest villages in Britain, the village centre consists of many modern buildings, and sadly, little historic architecture can be seen today. The first major village development of the village were terraces of Georgian shops; some of these are still in use today. In the late 1920s, larger buildings were constructed and these comprise the central area of the village. After the war, modernisation and urban development continued up to the 1960s, when many of the Georgian homes and shops were demolished to make room for concrete developments of flats and offices. Going towards the outskirts of Chalfont St Peter there are many large homes, some of which can be considered mansions, which attract celebrities to the area. Why Choose Touchstone to Convert Your Chalfont St Peter Loft? We have converted hundreds of lofts in the Buckinghamshire area during the best part of 30 years, many of these in Chalfont St Peter, and therefore are familiar with the village housing stock. We are very knowledgeable when it comes to local building regulations that on occasion require a homeowner to obtain a building permit for a conversion. If you need a permit, we can advise, or deal with the paperwork on your behalf. When we start work on a conversion, we assign a supervisor to the project who will be available to you for the duration of the loft conversion should you have any queries. The supervisor’s job is to ascertain the project proceeds as planned, and that a minimum of inconvenience is experienced by the home dwellers as possible during the build. When you choose us to convert a loft, we do not outsource any part of the work. As we are specialists in loft conversions rather than general builders, all our staff are fully qualified in their area of expertise. We prefer to work this way, as we can be sure we always maintain our strict standards without relying on outside companies to complete any stage of the conversion. We have won national building awards and pride ourselves on our customer service. We know you need to be informed progress at each stage, and we always make sure we meet targets in a timely way. For a free quote, call us on 0800 881 8194 or fill out the online form. We will call you back to arrange a time to survey your loft, and advise on the most appropriate type of conversion to suit your current construction and budget.